We were able to return to our home and sending church and help out in the completion of the reconstruction following the fire we faced in January 2013. It was a joy to see our church family, to labor alongside them and the pastor in restoring the building, and to attend the first Sunday services back in the church building. On Sunday, September 22, we attended Inner City Baptist Church in Mt. Ephraim, NJ with Pastor Anthony Garris. The Lord has allowed our church to support Brother Garris as he plants churches in the Camden area, and we were excited to present our ministry to the church. It is amazing to see the full circle as these new church plants are beginning to support missions! This past week, Pastor Venable invited us to take part in our home church’s mission conference. He graciously allowed us to preach, teach, and sing (along with staying in his home) during the week. On Sunday, September 29, Faith Community Baptist Church commissioned our family as their missionaries to the Dominican Republic. We are so thankful for a pastor and church who take care of their own and who prayerfully and financially support us as we do the work God has given us. Also, praise the Lord for another supporting church! We appreciate your prayers, and we know God is faithful to hear and answer our prayers! We were able to present the work in three different churches in the past few weeks. First, we visited Central Baptist Church in Axton, VA. Pastor Haak and the church members graciously allowed us to present our work, preach, and stay in their prophet’s chamber. Second, we took part of a mission’s conference at Bethel Baptist Church in Hampton, VA. Pastor Donica asked us to preach, sing, present the work, give testimony, and teach in the church and Christian school. The church went above and beyond in helping us with personal and ministry needs. Third, Pastor Prather invited us to preach and present the work at Harbor Baptist Church also in Hampton, VA, where we were able to fellowship with the members at their cookout following the evening service. We are so thankful for what the Lord has done and how He has supplied our needs. We are currently at 17.5% promised for our support. Praise the Lord! We had the opportunity to start off our busy fall schedule with a Wednesday night meeting at Freedom Baptist Church in Rural Hall, NC. The pastor and church were so friendly and caring. We saw many old friends and met many believers in Christ. Pastor White gave us the privilege to share our testimony and the work that God has given us to do. After a brief discussion in the middle of the service, he made a motion to partner with us in the work! Praise the Lord for a missions-minded church! The Lord has blessed us with so many people in our lives that have taken time to help and train us! This past Friday, we had the opportunity to sit before many of these men at our ordination council. On Sunday, Pastor Dan Gray and Calvary Baptist Church held our ordination service, along with help from our sending pastor Pastor Buddy Venable and our father/father-in-law Pastor David Fulp. We are so thankful to God for His goodness! Also, we are preparing for a very busy fall. We are grateful for the many pastors who have contacted and scheduled us. We ask for your prayers as we travel and as we seek to fill in our final few openings for this year as well as our 2014 schedule. 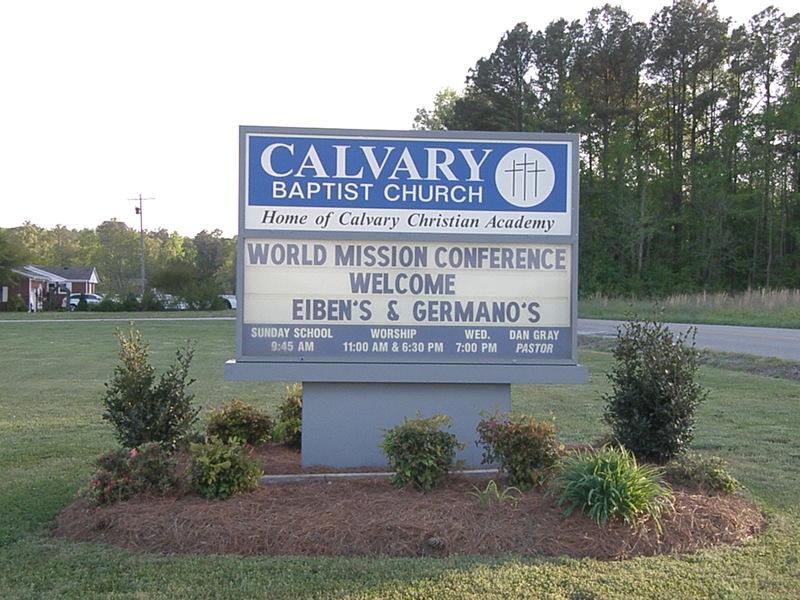 We had the privilege to attend Family Fellowship Week for our mission board from June 17-20, 2013 at Memorial Baptist Church in Ocala, FL. It was a joy to meet many missionaries serving with our board along with the board members. 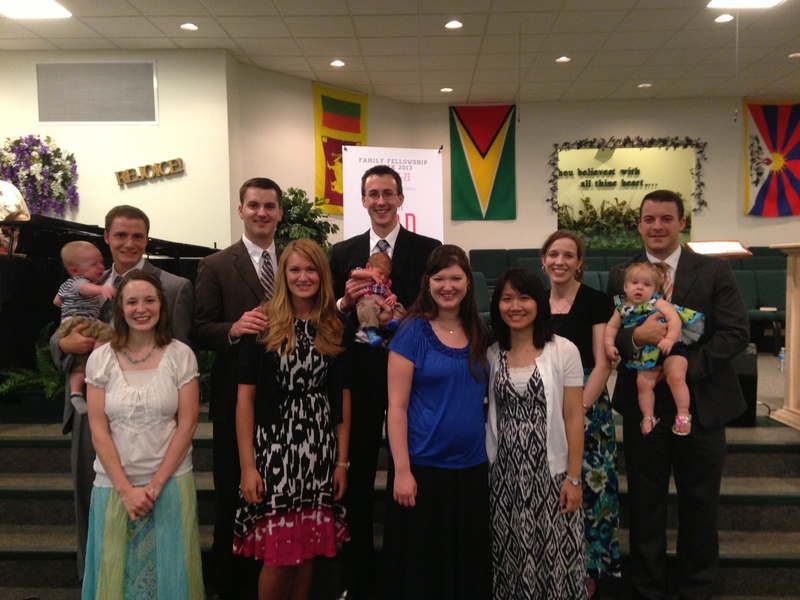 Also, we had a small college reunion with some of our fellow missionaries the Browns, Knickerbockers, McElreaths, and Rebekah Pari. Afterwards, we were able to spend a few days with my sister and her husband in St. Petersburg, FL before we traveled to our next meeting. We visited North Gainesville Baptist Church on Sunday morning before heading to Trinity Baptist Church in Milton, FL to present the work and preach. We enjoyed the fellowship with the church and with Pastor Paul Woody, who served as a missionary to the Dominican Republic for 8 years. 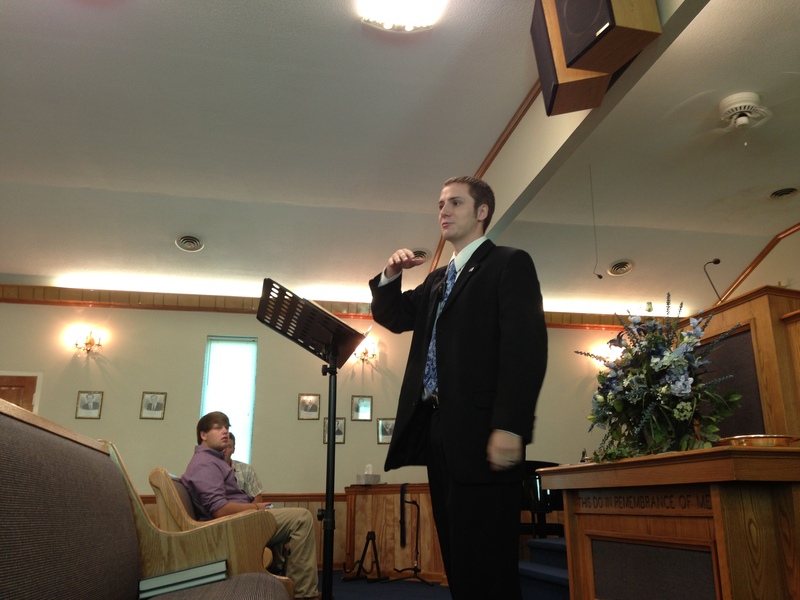 We had the privilege to be at Pleasant View Baptist Church in Eden, North Carolina with Pastor Torrey Easler. We enjoyed the opportunity to share our testimonies in Sunday school, present the work in the morning service, and preach in the evening service. We enjoyed the good fellowship with Pastor and Mrs. Easler and the church family. This week we are in Ocala, FL for family week with World Wide New Testament Baptist Mission and Memorial Baptist Church. It was a joy to attend the mission’s conference at the church where I was raised! Calvary Baptist Church and Pastor Gray have been such a blessing to us throughout the years. We were excited to see old friends as well as meet new faces. The growth, sweet spirit, and enthusiasm among the congregation was very encouraging. We were able to preach, sing, give testimonies, and present the work throughout the week. It was also a pleasure to minister with Gabe, Susan, and Benjamin Eiben, missionaries to Micronesia who served with us at Calvary and are serving with us with WWNTBM. 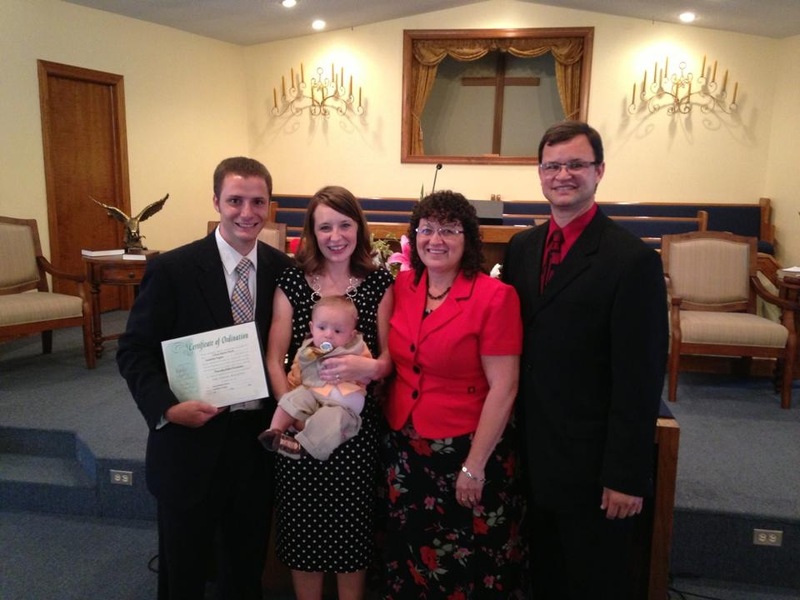 We praise the Lord that the church exceeded their faith promise goal and added us to their missionary family. On a personal note, we were blessed to stay with Tim’s mom and dad during the conference and enjoy their fellowship…and home cooking! We are currently at 13% of our needed support! 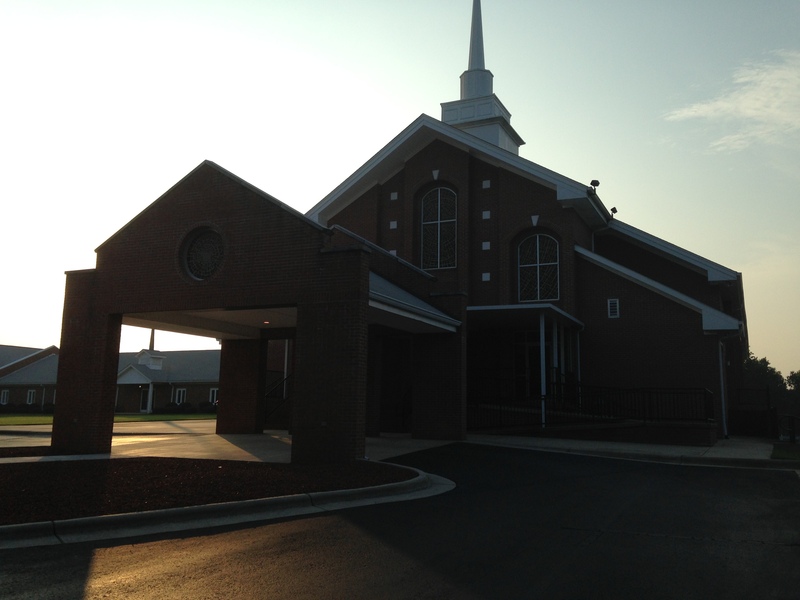 We covet your prayers as we will be finishing our work at Faith Community Baptist Church in Downingtown, PA to begin full time deputation in June 2013.